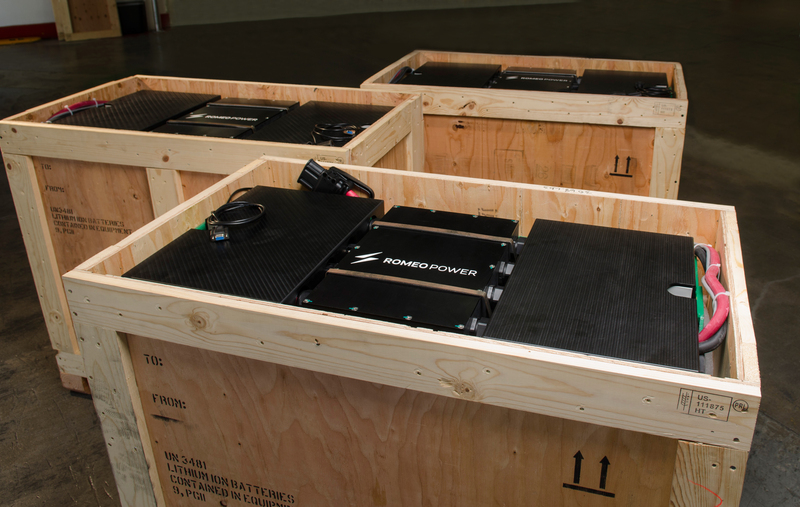 There’s no shortage of battery companies battling with Tesla for market share. Outfits around the world are building out battery capacity to fill the needs of automakers and energy storage developers alike — so much so that overcapacity has led to lower battery prices. It’s a bold claim, and one that skeptics will surely dismiss as little more. But Romeo has a number of things working in its favor. For starters, cofounder and CEO Mike Patterson has previously founded — and sold — three companies, including InAuth, a mobile authentication and fraud detection company that American Express bought last year for undisclosed terms. The 190-person company features a number of veterans of SpaceX, Samsung, Tesla, and Amazon, so there’s institutional know-how about manufacturing, procurement, design, and about battery packs specifically. Indeed, cofounder and CTO Porter Harris spent a year at Faraday Future as its chief battery architect; before that, he spent four years at SpaceX as an energy storage engineer. In fact, Porter has been working on batteries for the last decade, dating back to an earlier engineering gig at The Aerospace Corporation, in Southern California. Of course, its strongest raison d être is the market, which has grown as lithium-ion batteries have fallen in price and grown more competitive with the lead-acid batteries on which automotive companies have long relied. That affordability has made them attractive for a wide variety of applications, from electric cars, to tablets, to drones, to automated factory robots. The catch for Romeo, of course, is proving that its batteries can do all that the company says they can. Asked about Romeo’s secret sauce, Harris readily admits that the firm doesn’t make its own battery cells, buying them instead from companies like LG, Sony, and Samsung. What it does better than anyone else, he insists, is package them in the most efficient manner possible, while also being able to produce them a lot faster than competitors. Patterson elaborates on Harris’s point, telling us, “The [battery] cells are a commodity, it’s true. But of the hundreds of cells [available to buy], you have to know which is the best for a particular application. Then you have to get as many cells as you can into the smallest space possible, to create volumetric density. Then,” he says, “to keep the cells from getting too hot, you need to put them in the right container and connect them using the right materials and methods. “Finally,” Patterson continues, “you need to keep the whole thing cool,” which requires a thermal system, firmware, additional software, and a battery system to manage the whole thing. In short, anyone is welcome to take apart what Romeo is building, but good luck putting it together again. Is that special packaging process enough to sway big customers? Unsurprisingly, the company says it is. According to Patterson, Romeo has booked $65 million in manufacturing contracts with its 15 customers, including five automotive companies — two of which are among the “big three” in Detroit, he says, referring to Ford, General Motors and Fiat Chrysler. As for turning a lead into a sale, Harris suggests that — since the L.A. Times wrote about the company earlier this year — much of the interest has been inbound. “We contact people or they contact us. We ask them how much room they have to work with, and we bring them into our factory,” a 113,000-square foot facility a couple of miles east of downtown L.A.